← How to: The “Fibre Sandwich” Game! 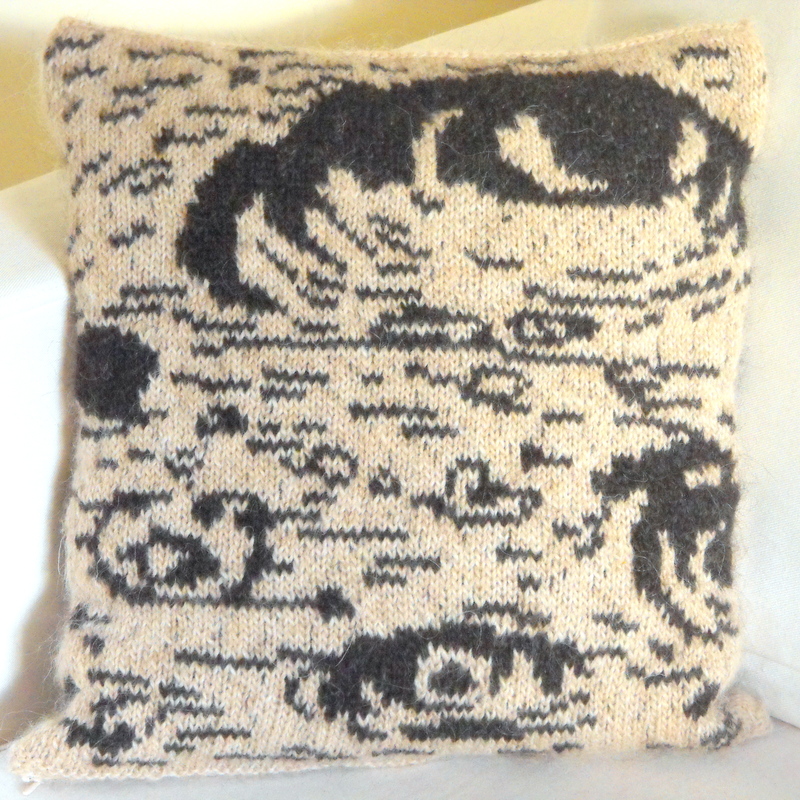 I finally got to try out a craft that’s been gradually seducing me. The promise of playing with a kaleidoscopic array of colours together with yarn is too hard to resist. I haven’t painted much in the last 8 years, but now I’m learning how to create hand painted yarn in the comfort of my own kitchen. It all started with ogling the beautifully dyed yarns of my fellow Instagrammers, of professional dyers on Etsy and elsewhere. Hand painted yarn tells a story. Often dyers are inspired by books, characters in TV series, or certain places to create limited edition colourways that sell out fast and which knitters treasure. I fall hard for pretty sock yarn and I found myself being inspired to make my own. It felt like a wonderful way to rediscover my old love of intuitive, abstract painting with colours, and combine it with my newer love of fibre arts! I started with buying a large quantity of discontinued undyed sock yarn skeins on Ebay, and researching and thinking about what I wanted to dye with. 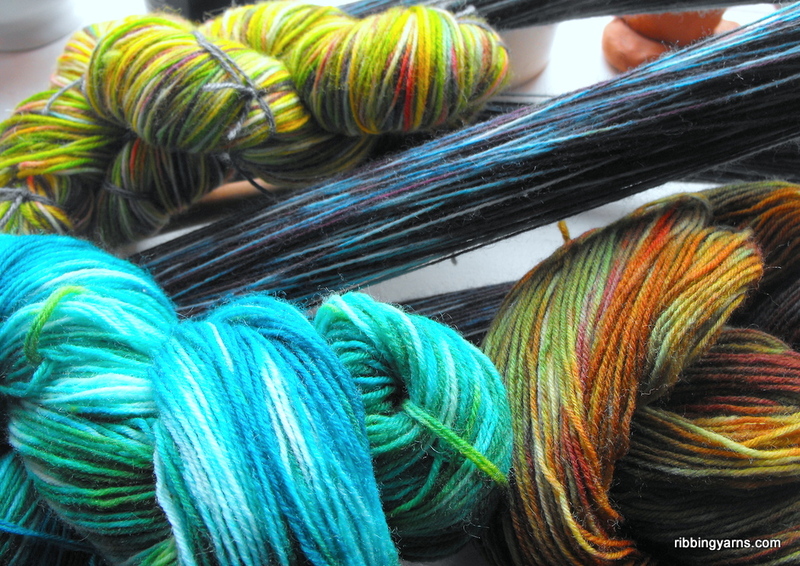 I heard that some food colours are surprisingly brilliant at dyeing yarn, and that the light fastness of the colours could be almost, if not equivilent to, professional acid dyes. I decided to get a set of Wilton Gel Colours- highly concentrated colours which are food safe and very easy to use. I will be writing more about my hand dyeing experiments as I learn about it- and I’ll be putting up a tutorial once I get to test out my new yarns in sock form :) But for now you can see the fruits of the last week, and their inspirations, in the picture above. 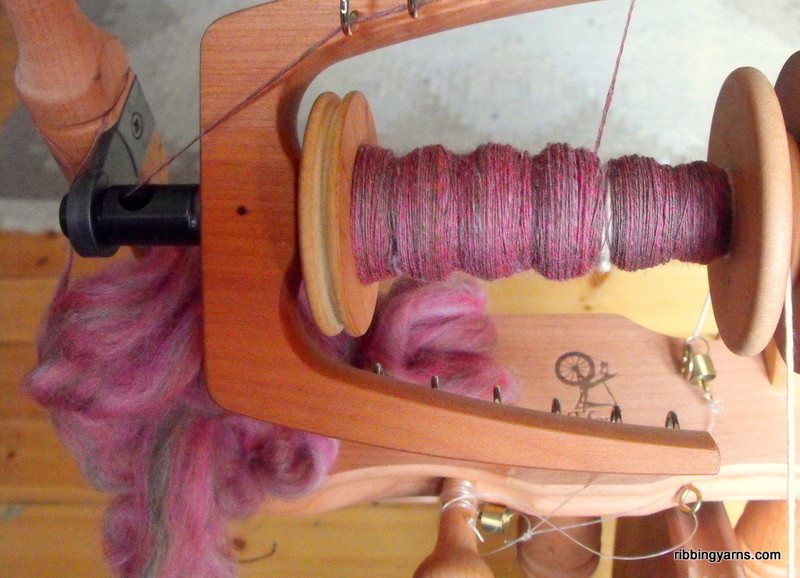 Onto the spinning- I havn’t done so much in the last week, but I dug out this blended dyed British wool fibre from Woolyknit in the UK, and just started spinning it up. I really love the brown and pink together and looking forward to how it turns out. In Sock Madness 9 news, I’ve completed the first sock of the first warm-up pattern: Stroop Stroop Socks by Ros Clarke, and the second sock is well underway! I hope I can get it finished in the next couple of days as I want to get going on the second warm up pattern! The competition proper starts at the beginning of March and is still open for sign ups- you can find all the info in the Sock Madness Forever group on Ravelry. This entry was posted in WIP Wednesday and tagged Craft, Hand Dyed Yarn, Handpainted Yarn, Håndarbejde, Knitted Socks, Knitting, Painting, SM9, Sock madness, Sock Yarn, Spinning, Strik, Stroop Stroop Socks, Woolyknit. Bookmark the permalink.